Find out how to do amazing tricks and become a putty expert! 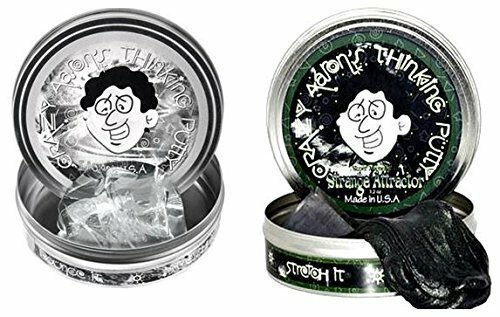 Our Super Magnetic Thinking Putty is so unique and has mind-blowing awesomemagnetic properties! When Super Magnetic Thinking Putty is stretched, molded,or shaped, the putty has no magnetic charge and behaves like any otherThinking Putty. However, in the presence of a magnetic field, its magneticforces begin to align. Suddenly, a truly Super Magnetic Thinking Putty iscreated that will attract to one magnetic pole and repel from the other.